The Balance Careers makes navigating your career easy. It is home to experts who provide clear, practical advice on job searching, resume writing, salary negotiations, and other career planning topics. Whether you're looking to find a new job, advance at your current position, or explore new paths, our 20-year-strong library of more than 10,000 pieces of content will help you take your career to the next level. The Balance is part of The Balance family of sites, including The Balance and The Balance Small Business, covering personal finance, career, and small business topics. With more than 24 million monthly visitors, The Balance is among the top-10 largest finance properties as measured by comScore, a leading Internet measurement company. Our more than 50 expert writers have extensive qualifications and expertise in their topics, including MBAs, PhDs, CFPs, other advanced degrees and professional certifications. The Balance family of sites have been honored by multiple awards in the last year, including The Telly Awards, The Communicator Awards, and Eppy Awards. Alison is one of the industry's most highly-regarded job search and career experts. Her work has been recognized by Forbes as one of the Top 100 Websites For Your Career, and on the Job Search Bible’s list of 25 Best Career Websites. In addition to her work on The Balance Careers, Alison is the founder and CEO of Career Tool Belt, which provides advice for every step of your career. Alison has been quoted or featured as a job-search expert by publications including The New York Times, CNN, and The Wall Street Journal. She has authored more than 2,000 articles on resumes, interviewing, and other job-search essentials and covered job searching topics for The Balance, and prior to that, About.com, since 2003. Susan is a management and organization development consultant who specializes in human resources issues and management development. She has been quoted extensively as a Human Resources expert, appearing in publications including The Wall Street Journal, The Washington Post, and The New York Times. Susan is a member of the Society for Human Resource Management (SHRM), and has a Master’s degree in Organizational Counseling from the University of Michigan. She has covered human resources and management topics for The Balance, and prior to that, About.com, since 2003, authoring more than a thousand articles in that time. Dawn is a certified Career Development Facilitator and a member of the National Career Development Association (NCDA). She is also the author of several books on career planning, including The Everything Practice Interview Book and The Everything Get-a-Job Book. Dawn has written for The Balance, and prior to that, About.com, since 1997, and has written hundreds of articles about choosing your career path, making career changes, and advancing in your career. At The Balance, we take great pride in the quality of our content. Our writers create original, accurate, engaging content that is free of ethical concerns or conflicts. If you ever come across an article that you think needs to be improved, please reach out by emailing contact@thebalance.com. The Balance does not provide individual or customized legal, tax, accounting, or investment services. Since each individual's situation is unique, a qualified professional should be consulted before making financial decisions. Our product reviews are independent and based on research and product testing — if you visit links within our content, we may receive commissions from your purchases, but we never receive any compensation or consideration for the content of our recommendations. Learn more about our review process here. Lauren is VP, General Manager of The Balance. 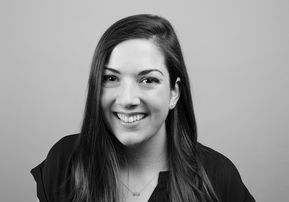 Lauren has been with the company since 2015, most recently Head of Programmatic Operations overseeing revenue generation and systems operations for all Dotdash brands. As Head of Programmatic Operations, Lauren managed over half of the company’s revenue streams, leading relationships with monetization partners like Google, Amazon, Facebook, and more. Prior to Dotdash, Lauren spent five years in Content Marketing developing solutions for brands like P&G and Kellogg’s. Lauren received a B.S. in Communications and Creative Writing from the University of Miami. Christine has dedicated the majority of her career to financial education. In early 2019, she joined The Balance as Editorial Director, where she oversees content strategy and operations. Previously, Christine served as the managing editor of mortgage content at LendingTree, an editor and writer for Credit.com, communications coordinator for the Society of Professional Journalists, and a copy editor for The New York Times. Her writing has been featured on MarketWatch, USA Today, MSN Money, Yahoo Finance and The New York Times International Weekly. Christine graduated from DePauw University with a B.A. in English writing. Arturo is the Editor for The Balance. He joined About.com’s Español site in 2012, and worked on other verticals including Education and Careers. Arturo has 10 years experience covering politics, immigration and pop culture for Fusion, Univision, NBC Latino, City Limits, and other publications in Spanish and English. Previously he was the director and publisher of NACLA, a nonprofit publication that has covered Latin America for over 50 years. Arturo received a M.S. from the Columbia University Graduate School of Journalism. Verywell (Health and Wellness): The Verywell family of brands, including Verywell Health, Verywell Fit, Verywell Family, and Verywell Mind, take a human approach to health and wellness content and are a welcome alternative to hyper-clinical health sites. More than 39 million people use Verywell sites each month to feel better and be healthier. The Spruce (Home and Food): The Spruce family of brands, including The Spruce, The Spruce Eats, The Spruce Pets, and The Spruce Crafts combine inspiration with how-to advice to help users create homes they love. Collectively, The Spruce sites reach nearly 28 million people each month. The Balance (Personal Finance): The Balance family of brands, including The Balance, The Balance Careers, and The Balance Small Business, deliver clear, practical, and straightforward personal financial advice to nearly 21 million people each month. Investopedia (Investing and Financial Education): Investopedia helps investors understand financial concepts, improve investing skills, and learn how to manage their money. Investopedia reaches nearly 11 million people each month. Lifewire (Tech): Lifewire provides helpful, actionable tech tips, advice, and answers, without confusing jargon. Lifewire helps nearly 10 million people each month get the most out of their technology. Byrdie (Beauty): Byrdie is dedicated to all things beauty, inside and out. From hair and makeup to health and wellness, Byrdie takes a fresh, no-nonsense approach to feeling and looking your best. Byrdie reaches nearly four million people each month. MyDomaine (Lifestyle): MyDomaine offers fresh recipes, smart career tips, and insider travel guides that awaken a life well lived. MyDomaine reaches 2.5 million people each month. TripSavvy (Travel): TripSavvy delivers curated expert advice for family and vacation travelers. We help over eight million people each month have the best travel experiences. Thoughtco (Education and Information): ThoughtCo is one of the largest and most comprehensive learning, information, and education sites online. ThoughtCo helps 12.5 million people a month become lifelong learners. Read about Dotdash and our family of brands in the news. 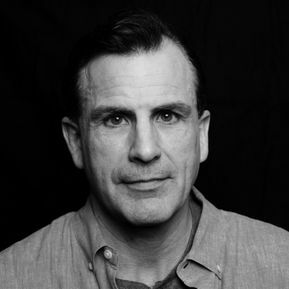 Neil Vogel is CEO of Dotdash, having assumed the role in April 2013. 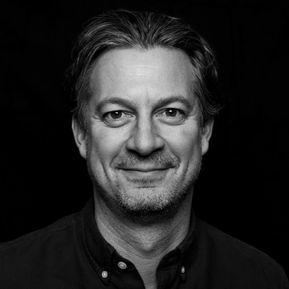 Prior to joining Dotdash, Neil was the Founder and CEO of Recognition Media, a creator and producer of award shows and media properties for digital, creative, and advertising communities including the Webby Awards, The Telly Awards, and Internet Week New York and Europe. Before starting Recognition Media, Neil was Chief Corporate Development Officer at Alloy Media + Marketing, a digital content and marketing services company focused on the teen and youth market. Neil also serves as a venture partner at FirstMark Capital. Neil received a B.S. in Finance from the Wharton School of Business at the University of Pennsylvania. 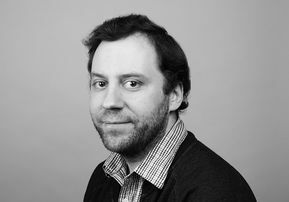 Tim is the Chief Financial Officer of Dotdash and joined the company in January 2015. 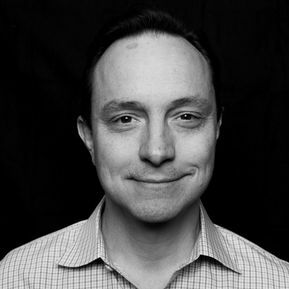 Prior to joining About.com, Tim was CFO of Axial, an online professional network that helps entrepreneurs and small businesses access capital. Tim spent more than a decade with American Express where he was a Senior Vice President of Finance and Operations at Vente Privee USA, an e-commerce joint venture between American Express and Vente-Privee Europe. Tim spent the majority of his time at American Express as a Vice President in the Corporate Development Group where he sourced, executed and monitored equity investments and M&A transactions supporting all of Amex’s global business lines. Tim started his career in middle market investment banking at Ladenburg Thalmann and prior to that in private equity at Wade Capital. Tim graduated from the University of Virginia with a Bachelor of Science degree in Commerce and lives in New York City with his wife and twin daughters. Alex Ellerson is the Chief Operating Officer for Dotdash. Before joining Dotdash, Alex served as the General Counsel & Chief Operating Officer at Howcast, a leading producer of high-quality, low-cost, online how-to videos. Prior to joining Howcast, Alex was the Head of Entertainment and Premium Content Partnerships for Google Video and YouTube, and earlier, a General Manager and Senior Director of Business Development at Yahoo! (working on both Yahoo’s Media and Entertainment and Search teams). He was also the COO & General Counsel for CMJ (host of the annual CMJ Music Marathon conference), an Associate at the law firm of Cravath, Swaine & Moore, and a law clerk to The Honorable Amalya L. Kearse (U.S. Court of Appeals for the Second Circuit). Alex holds a JD from Columbia University School of Law and a Bachelor of Arts degree from Swarthmore College. He is also a member of the Planning Committee of the New York Chapter of The Copyright Society of the USA. 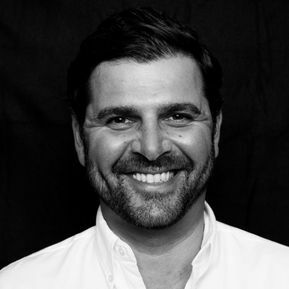 Andrew Gorenstein is President of Advertising & Partnerships for Dotdash and joined the company in December 2016. 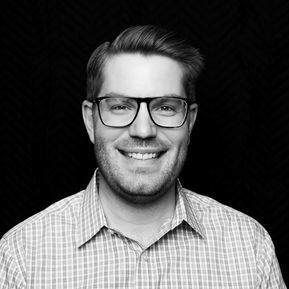 Before joining Dotdash, Andrew held executive roles as the President of Media & Advertising and Chief Revenue Officer for Gawker Media, where he led the revenue team and created an award-winning product suite to sell across their multiple vertical brands. Prior to Gawker Media, Andrew held sales leadership roles at Condé Nast and Forbes. Andrew has worked aggressively to accelerate, and ultimately redefine and align the relationship between advertisers, brands and publishers. In 2013, Andrew was named one of AdAge’s 40 under 40. Andrew received his Bachelor’s degree in History from Boston University. Dr. Jon Roberts oversees the finance media properties at Dotdash (Investopedia and The Balance). He has been with Dotdash since 2013 and previously held roles as Chief Innovation Officer and Head of Data Science, where he derived insights from more than 20 years of Internet data across thousands of topics. Prior to joining Dotdash, Jon spent 10 years as a theoretical physicist focused on making dark matter predictions for the hadron collider at CERN, and cosmic ray predictions for the AMS detector on the space station. He also worked on the Pierre Auger telescope in Argentina. Dr. Roberts received his Ph.D at the University of Southampton and his M.A. from the University of Oxford. Nabil Ahmad is the Chief Technology Officer for Dotdash. 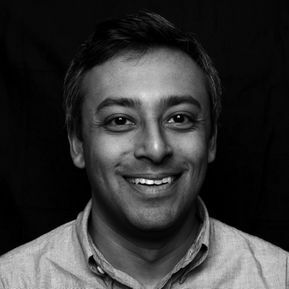 Before joining the company in 2013, Nabil worked at Barnes & Noble serving as the head of technology for BarnesAndNoble.com. A career long engineer, Nabil’s experience includes consulting during the dotcom boom, working at healthcare services and media companies, and being the first employee and head of technology at Kwiry Inc., a venture-backed mobile startup. Nabil received his B.A. in Molecular Cell Biology, with emphasis in Cell Developmental Biology, from the University of California at Berkeley. 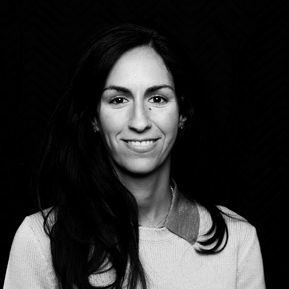 Meredith Worsham is Vice President of Communications for Dotdash. Meredith has been with the company for nearly ten years, working her way up from Account Coordinator to now Vice President, where she oversees media relations, strategy development, internal and external communications and special events for one of the fastest-growing digital media companies and its vertical brands. Previously, Meredith held various public relations roles at MSL, a leading PR Agency in New York, and worked on health accounts including Sanofi Aventis, Allergan and Phillips Healthcare. Meredith holds a BA in Communications with a minor in History from Elon University in North Carolina. Jeff Hartwig is the General Counsel & Corporate Secretary for Dotdash. 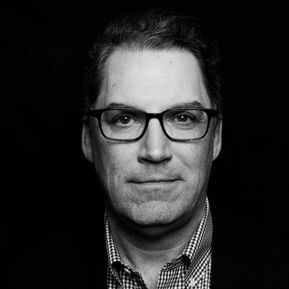 Before joining Dotdash, Jeff spent six years at Dow Jones & Company, Inc. where he served as counsel to the digital and print production groups of The Wall Street Journal. Prior to joining Dow Jones, Jeff was an associate attorney at the law firm Morgan, Lewis & Bockius, providing legal counsel to emerging businesses on their financing, intellectual property and general corporate matters. Jeff holds a JD from the University of Pittsburgh School of Law and a Bachelor of Arts degree in French from San Francisco State University. He is also a member of IAB’s Legal Affairs Council. Rob Brathwaite is Senior Vice President of Operations at Dotdash. He also oversees IAC Publishing global shared services team. Starting at the company in 1996, he is the longest tenured team member. Robert has been instrumental to bringing about change at Dotdash over the past two decades. Robert holds both a B.S.c and M.S.c in Information Systems and Management from New York University. 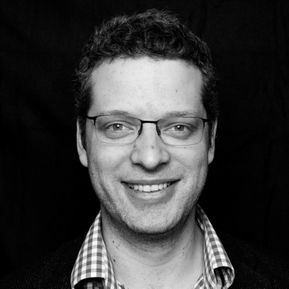 Adam McClean is the Chief Product Officer at Dotdash and joined the company in 2014. Prior to joining the company, he was the Director of Product at Waybetter, Inc. Previously, he held roles at Barnes and Noble and Condé Nast Publications. 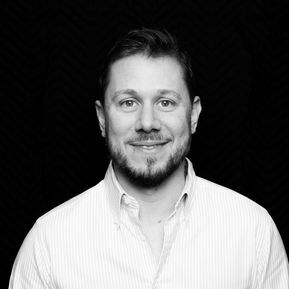 Adam brings more than a decade of experience in start-ups, e-commerce, and premium publishing to Dotdash. Adam received a B.A. in Communications from DePauw University. Tre Jones is the SVP for Growth at Dotdash. He leads a team of engineers and marketers at Dotdash dedicated to growing our consumer audience through continuous improvement of our content and product. Prior to Dotdash, Tre was VP of search marketing at Everyday Health. 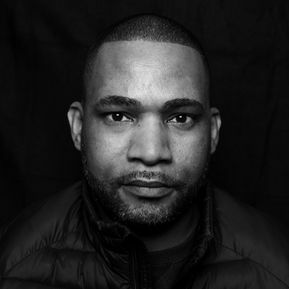 Tre holds a Masters of Business Administration from the NYU Stern School of Business and has a bachelors from the University of North Carolina at Chapel Hill. 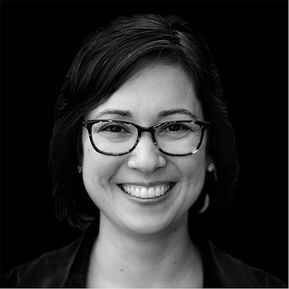 Colleen Gangl is the VP, People of Dotdash, joining the company in 2018. Colleen brings over 15 years of experience in her field across multiple industries including retail, technology and digital media. At Dotdash she is responsible for all areas of the People function including talent acquisition, talent development, business partnering and people operations. She is dedicated to partnering with her colleagues to cultivate a working environment that allows team members to do their best work. Colleen received her Masters in Human Resource Management from Rutgers University and has a BA in Art History from the University of Delaware. 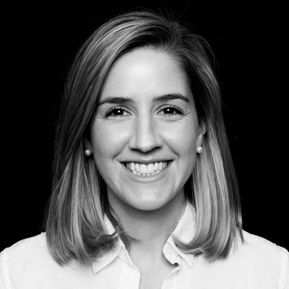 Sara Badler is SVP Programmatic Revenue at Dotdash and joined the company in February 2018. 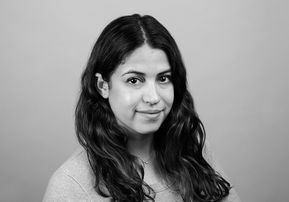 Before joining Dotdash, Sara was head of Programmatic Advertising at The New York Times, where she managed a programmatic team globally, focusing on revenue working with direct clients, partners and exchanges. Sara started her career in Shanghai, China, where she worked in Ad Tech at JOININ Tech for more than three years specifically focused on programmatic TV. From there, she went on to manage programmatic at Forbes Media and Hearst Corporation. Sara’s focus has always been in Ad Tech both on the publishing side and technology side. She also worked at Turn where she led inventory partnerships across the east coast. Sara holds a B.A. in American and Women’s Studies from Dickinson College. Brandon Millard is the Vice President of Growth for Dotdash and joined the company in April 2015. 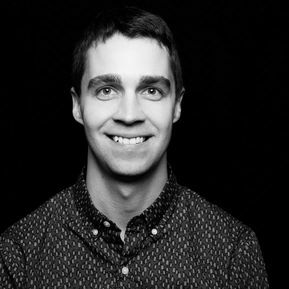 Brandon oversees a team of content strategists, growth analysts, editors, illustrators, and photographers dedicated to improving publishing processes and content quality. Prior to Dotdash, Brandon was the Director of Search Strategy for Ayima, a digital marketing agency, where he led enterprise consulting relationships with large publishers and e-commerce platforms. Brandon has worked in digital marketing and growth for the past 15 years as a startup founder, an in-house leader, and a consultant. Brandon received a B.S. in Business from Wake Forest University. Whether you have a comment or suggestion to share, we look forward to hearing from you. Feel free to reach out by emailing contact@thebalance.com. For press inquiries, email us at press@thebalance.com. If you would rather call us or send us a letter, you can reach us at 1500 Broadway, New York, NY 10036 | 212-204-4000.